Rypple is a simple application that lets anyone ask for feedback from a group or team of people. 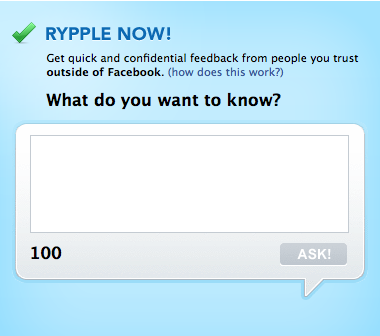 Rypple takes an old concept of asking for feedback and brings it forward to a Twitter/social media society. Visit Rypple.com and try it for free to obtain some valuable insight in record time.